Phillip Jefferson (’17), a petroleum engineering major, saw major potential for collaboration with his fellow students early in his college career. The Energy Coalition is the largest student group on campus, comprising 34 student organizations and more than 5,300 members. Led by an Executive Board of the top student leaders, the Energy Coalition brings students together from different colleges and organizations who plan to pursue careers in the energy industry. 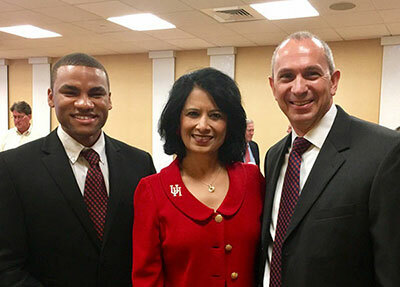 Jefferson has since passed the torch as president, since he graduated in May 2017, but is still a champion for the group and energy initiatives at UH. It’s no surprise that the Energy Coalition has collaborated with the University’s Energy Advisory Board, the University’s presidentially appointed volunteer board of experts and leaders in the energy industry. Board members are committed to advancing energy education and research, and access to these leaders has been especially beneficial for the Energy Coalition. In the coming school year, the Energy Advisory Board will become even more involved: Energy Coalition Executive Board members will each be paired with a member of the Board, who will act as a mentor and provide guidance for them as they work toward a career in energy. Scholarships also made a “huge difference” in Jefferson’s UH experience, and again, alumni were directly involved: “One of the scholarships I was very grateful for was from the Engineering Alumni Association,” he says. He was also awarded a John Lienhard “Engines of our Ingenuity” scholarship, and received funds for housing due to his position as a resident advisor, among other scholarships. He graduated in May 2017 not only with a degree in petroleum engineering, but also a minor in marketing and a certificate in Corporate Entrepreneurship. “I wanted to take full advantage of the country’s best entrepreneurship program at the C. T. Bauer College of Business,” he says. In Fall 2017, Jefferson will start his career at Phillips 66 as a KATALYST Associate, where he and other KATALYST Associates will immerse themselves in the entire value chain of the company’s commercial business for three years, before being placed into a primary area of focus within the commercial business. “I can’t imagine a better fit for me,” he says. His recruitment was the direct result of working with Energy Advisory Board member Kevin Mitchell, Executive Vice President and CFO of the company, whose team invited Jefferson and 30-40 of the most involved Energy Coalition members to tour their headquarters and participate in a training simulation. To learn more about the Energy Advisory Board and energy-related programming, visit UH Energy. 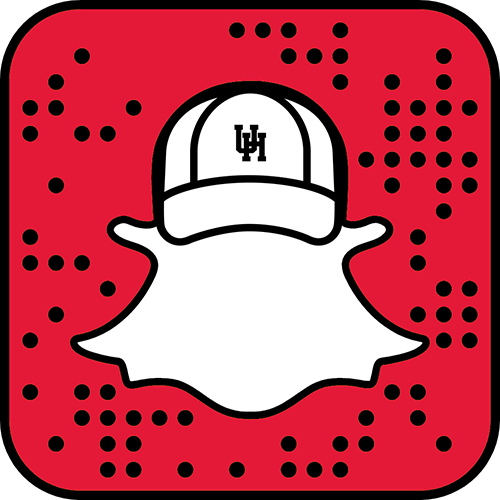 For more information about how to support energy initiatives at UH, contact the Office of Volunteer Relations at (713)-743-1085 or eab@uh.edu.